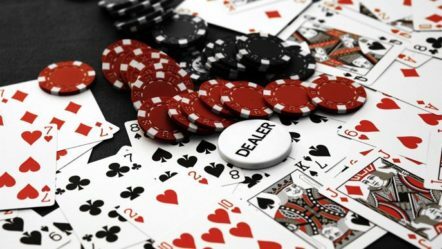 When the urge hits to play some poker online, you might not think before you act. To put it mildly, you could be caught up in the excitement associated with playing the game. You just want to get those chips and put them into play as quickly as possible. This type of mindset can hurt your chances of success before the game even gets started, though. You might be good enough to have success wherever you sit down, but chances are, you can select a positive situation by being a little bit more selective with your table selection. You don’t have to jump right into online play without first seeing who you’ll be playing against. You wouldn’t walk into a Las Vegas casino and sit down with a table full of local rocks, so why risk doing so in an online setting? The truth is, you don’t have to. Instead, you can delay your play just a little bit and improve your odds in the long run. It doesn’t take long to sit on the rail and watch 15-20 hands in order to get an idea of the pace of play. You should be looking for certain things while watching. For one, you should be considering the pace of play and whether that suits your needs. You must also consider the overall quality of play that is going on at the table. Depending upon your style of play, the “right” table can mean something different to each and every player. Maybe you like a slower game where you have plenty of time to think over decisions. 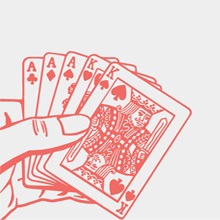 Maybe you are the type of player that likes to get as many hands in as quickly as you possibly can. You might be the kind of player that can go into a game of loose players and make big bucks. Some players can’t do that, so they have to take their game to a more selective and tight table. Watch the players and figure out which ones are aggressive and which are passive. It is also very important to keep in mind the average pot at each table. If you sit down at a table that is a little bit out of your comfort zone, then you won’t be able to effectively play poker because you’ll be worried about losing your entire bankroll. 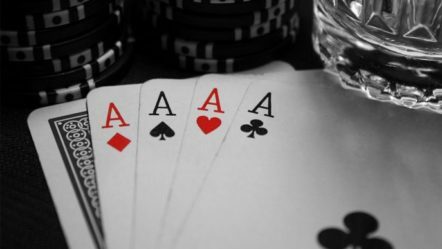 Each of these things is equally important if you plan on succeeding in online poker. 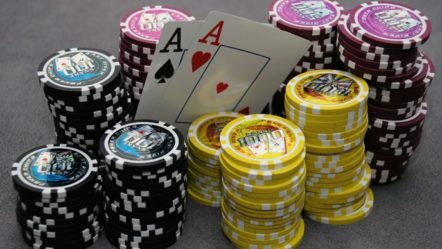 This is an image of a stack of poker chips. 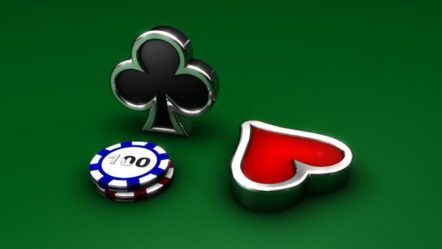 Online gambling brings with it big time temptation. You might think it’s a good idea to bring your entire bankroll to a big table in order to double or triple your stake, but this is a bad plan. There are a few different reasons why you shouldn’t step up a level if it’s out of your bankroll range. On one hand, you will not feel comfortable with the action and you’ll play tighter than you should. On the other hand, you will probably be outmatched by the quality of play at the high stakes tables. 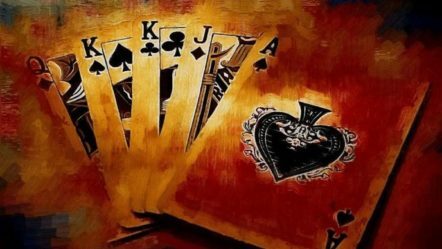 Players at $5/$10 tables are usually the best players that you will find online. They are certainly a step above the small time players that frequent the low stakes tables. Stay within your means and have the patience to build your bankroll the hard way. In the long run, this way will pay off more times than a quick fix will. 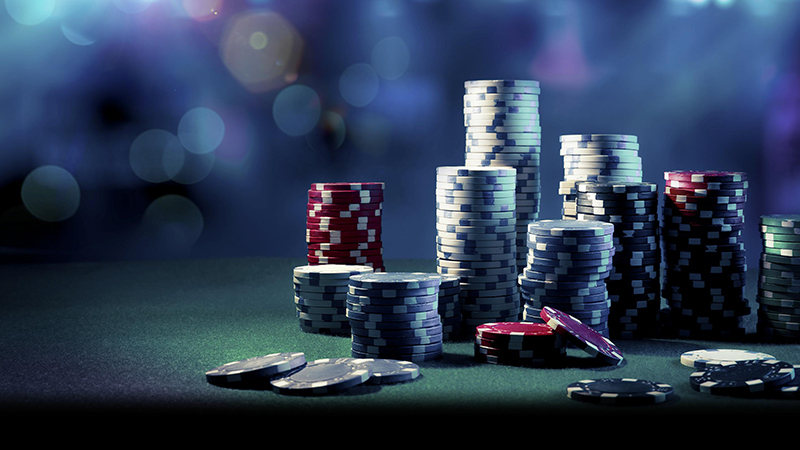 Choosing the correct table is absolutely essential to playing good poker online. If you aren’t playing against the right competition, then you have little chance of making a profit or getting better at the game. The main thing to remember, above all other things, is that comfort is the most important thing for any player in online poker.